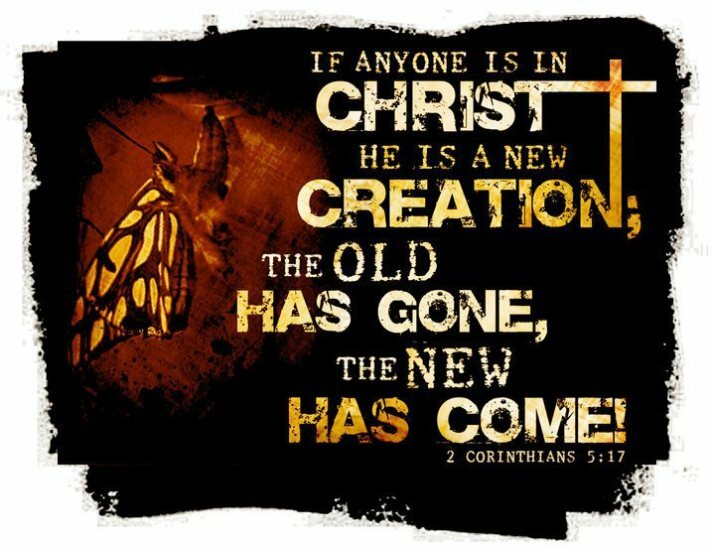 2 Corinthians 5:17-19 Therefore, if anyone is in Christ, he is a new creation. The old has passed away; behold, the new has come. 19 that is, in Christ, God was reconciling the world to himself, not counting their trespasses against them, and entrusting to us the message of reconciliation. Verse 17 has been a life verse for me since January 3, 2011; that is the date that I dropped to my knees and cried out to my Lord and Savior and everything changed. I had no vision or even desire that I would be getting up at 5am in the morning to meditate on God’s word, pray and worship God, or share the good news of hope in Jesus with all my co-workers or this blog, or volunteer to work in restoring neighborhoods forgotten by civilization that have become increasingly corrupt and broken, or find myself in men’s groups and have accountability meetings several days a week, or be involved in recovery ministry to help others find their freedom in Christ, or become reconciled to the fact that I will spend the rest of my life on earth on high alert being wary of my denials and blindnesses that surface in the form of selfishness, fear, pride and other Spirit snuffing behaviors. The only way I can think to describe it right now is that once Christ becomes truly real to us and we are filled with a confidence and hope that He can do what we cannot, then we have entered the proper position of humbled reverence and surrender to His will for our life. 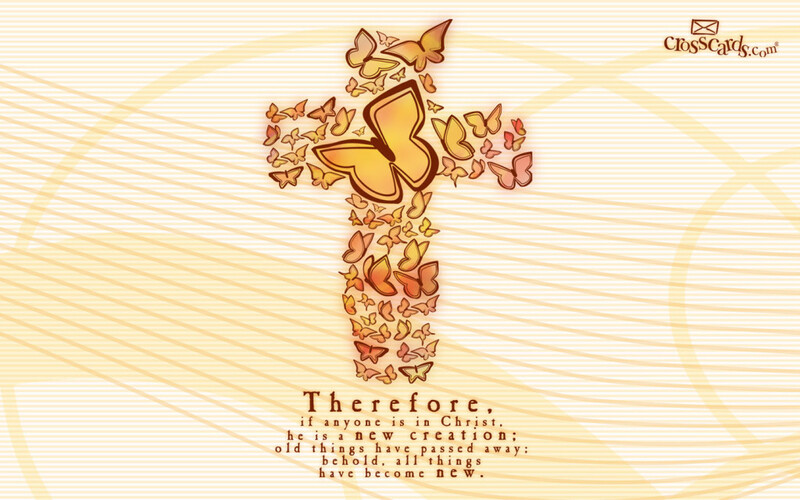 It is in this stance that we truly become new creations of Christ. And as verse 18 points out, this is not something earned by our strivings to prove our worthiness or how good we had lived our lives up to that point, it has always been Him who has since the beginning of time been tapping us on our hearts and saying “I have a gift for you”. I myself had rejected it for 45 years. I didn’t know that fact in my life until after I stepped over the line, it was a hindsight thing. I didn’t know how blind I was until I could see. And it is that message which presses hard on my heart for others who claim they are Christians, maybe even believe they are but there is absolutely no evidence of a changed heart. The awareness that broke through the crack in my hardened heart that I believe led to my surrender was these two verses. When I finally got honest with myself and God the answer was no, I was not living as a new creation, nothing was different in my life as a result of claiming to know God, and I began to worry. In hindsight I realize I was going through the motions thinking it was as good as it gets. I had known of God, I loved the idea of God, I thought it would be neat if God could do the things for me that I had seen Him do for others and the promises that I heard the pastors preach, I even prayed to God and went to church occasionally. Bit my life was not different. It wasn’t until I needed God, surrendered to God, cried out in reverence to God that my heart change, my desires changed, my life changed. This concept of being Born Again is one of the greatest promises of God, that if we will at some point in our life reach out in total faith and even with a struggling belief call upon God to save us, He will. But only when our heart is willing to change as He defines change, not just to be relieved of ailments. I begged God for years to remove my drinking and drugging, give me a good girlfriend or wife, better my career, help me pay for a vacation… but on that fateful morning I said nothing about my addictions or desires, I simply and deeply declared deep within my heart that God did in deed die and rise again and that He did that for me, and claimed His promise that if I did that He would change my life. I didn’t tell Him how to change my life, just that I was willing to be changed. I believe it is the willingly bent heart that fully surrenders to God which opens the floodgates of mercy and change by grace. We are made new creations by God alone, but we must be the one to take that gift willfully, cheerfully, hopefully with great anticipation and expectation. God doesn’t shave caterpillars, He makes butterflies. I can’t take credit for that quote, but I think it is an awesome analogy of what God does in the soul of a surrendered heart. I lived my life broken and selfish, seeking only my own pleasures, increase, goals and treasures but God continues each day that I reach out in reverence and awe to Him to press out that old dead man and raise a new man from the ashes. Romans 5:8 8 but God shows his love for us in that while we were still sinners, Christ died for us. 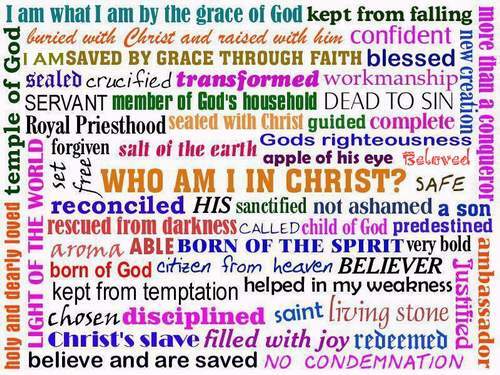 This entry was posted in Addiction, alcohol, conviction, drugs, encouragement, faith, God's story, hope, Jesus, Recovery and tagged born again, faith, God, healing, hope, Jesus Christ, new creation, peace, Promise, resurrection, surrender. Bookmark the permalink.